Is it about trying out something new? Is it about the captivating view? Is it about falling in love with the beauty of the nature? Is it about the social media worthy pictures you take? Is it about conquering your fears and doubts whether you can make it or not? Is it about getting physically fit? Is it about the moments you have with the people you are with? Is it about the satisfying feeling of reaching your destination after the tremendous effort you put in? 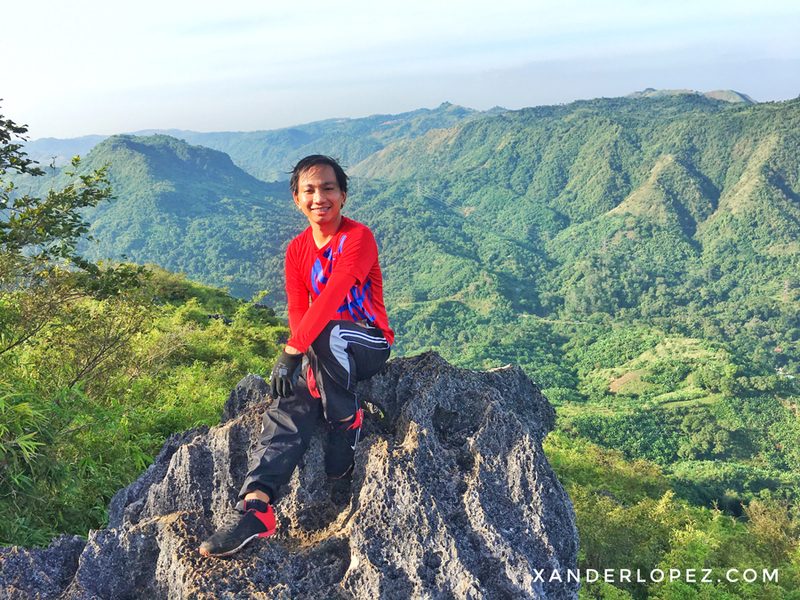 Whatever your reason is or whatever your motivation is, you’ll surely gain a memorable experience in climbing a mountain. Adventure is out there. You just have to say yes. 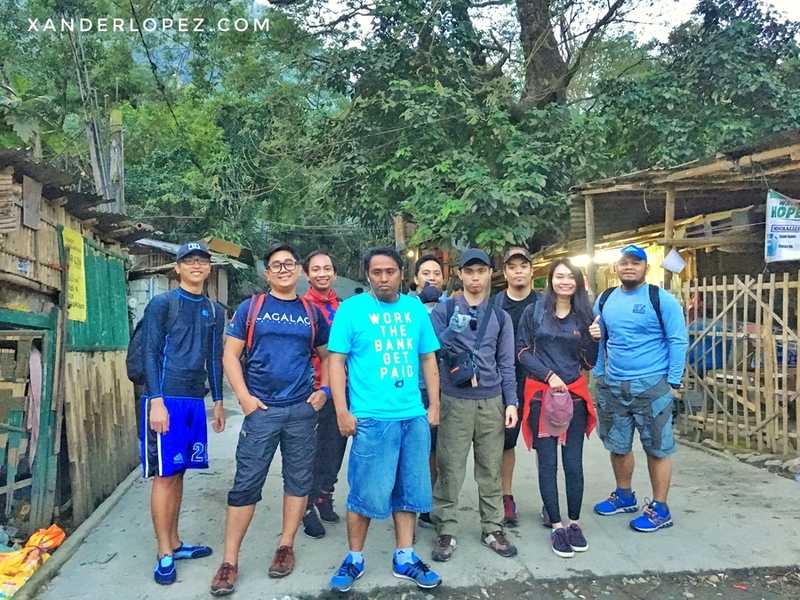 It was a cold Saturday dawn when me and my friends met at Jollibee Farmers Plaza Cubao — the usual meeting place of hikers. The meeting time was 3AM but I was already within the vicinity at around 2AM. We left at around 5AM because we have to wait for everyone to come. 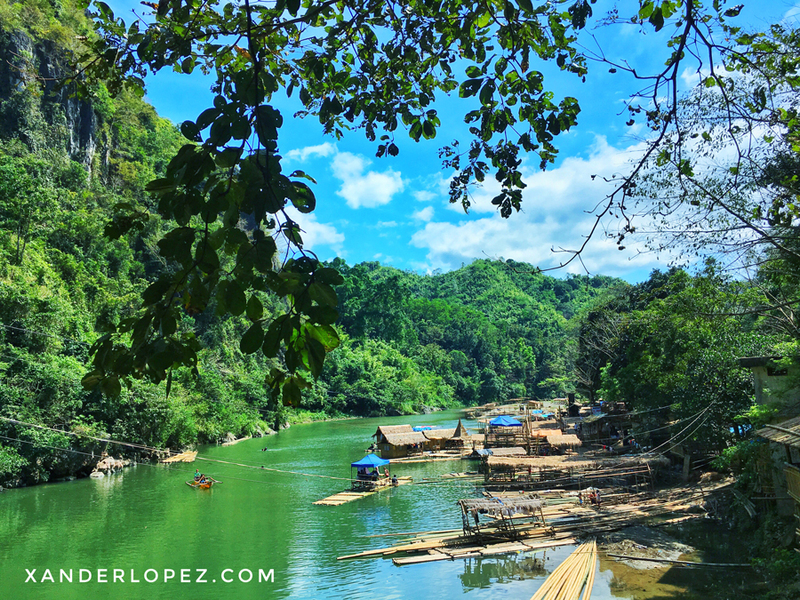 We rode in an FX going to Rodriguez, Rizal which was readily available outside. After almost an hour, we rode in a tricycle. When we reached the barangay hall of San Rafael, I was shocked to see the surplus of the people there. Lots of hikers registering their names, ready to start the day with their respective tour guides. I thought I won’t experience that scenario. I have seen pictures posted on FB Groups by other hikers where there were lots of them climbing a mountain. A prominent example is Mt. Ulap. I never thought this would also happen here. 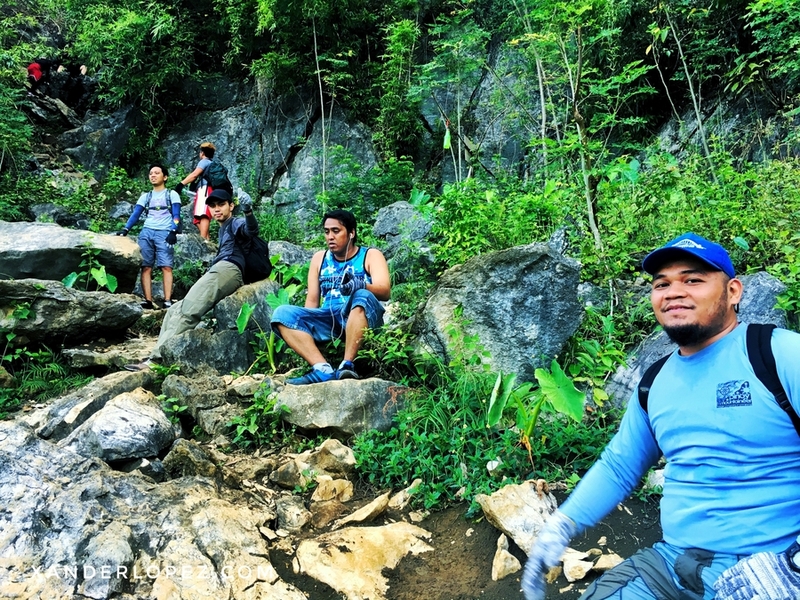 The locals are selling rash guards, gloves and other hiking equipment at an affordable price. There is an available market and they clearly took advantage of it. Tour guides have also been roaming around, looking for groups which they can have contract with. It is required to have one per five people, P500 per mountain. The first to approach us was Arnel. After learning that we were nine in the group, he recommended another one — Baby. I registered our group at the DENR for Php 50 per person. 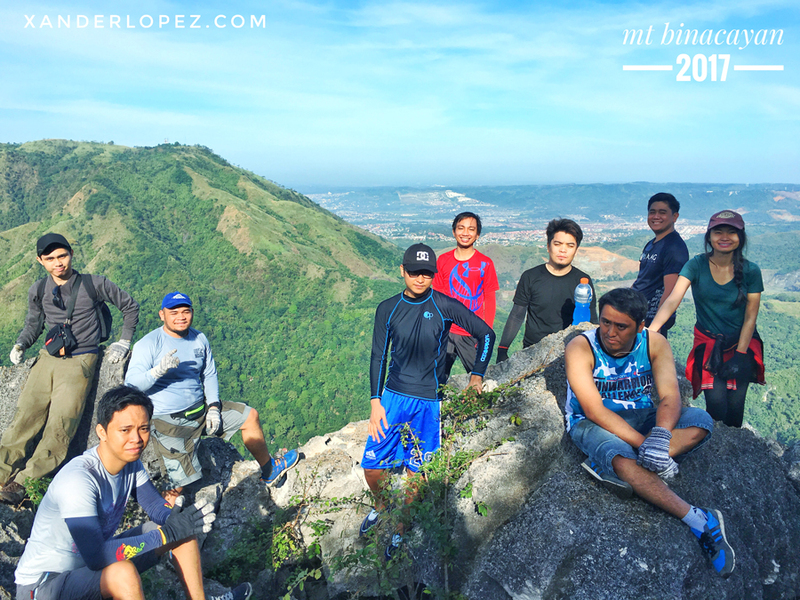 Initially, I indicated that we’ll climb two mountains: Mt Binacayan and Mt. Pamitinan. My friends and I started climbing Mt. Binacayan at sunrise. We set out just fine. The weather wasn’t too hot. Our tour guides helped us all the way — they even carried some of our bags. It was a steady uphill climb, just the right amount of effort and we can reach the peak in time. Within a few minutes, Hazel and her boyfriend Luigi already felt the burn on their legs with every step. I heard them calling each other “bhie” (short for baby) followed by an instruction to do this one or that one to protect each other from any mishap. You never know if this trail could break or make their relationship stronger. LOL. They still persevered though. Lovers on the mountain. RJ had improved, he got stronger and faster compared to our first hike in Mt. Balagbag. But he still uttered lots of complaints. Haha. Anyways, he told us that he had been running to increase his physical endurance. He even had the courage to bring a heavy bag full of groceries because he already knew that he can ask the tour guide to carry it for him. Hazel’s been teasing him though — calling his name and shouting “ano bukas na lang?”. Magic beans and its wonders. We just stop every once in a while to recuperate our strength. Big boulders along the way. Some were even sharp. Good thing our gloves were strong enough to protect our hands. Mark was teased because he looks like a field reporter because of his outfit. Atom Aurallo as they say. He ever wore shades which resembled him to Neo of The Matrix. Though because of these, when we were on our way, some girls were giggling and then asked his name. He then shyly smiled and said “Mark”. Atom and his electromagnetic field. Jayson likes to keep his thoughts to himself. Whoever knows whats he’s thinking about. But then, he couldn’t contain his emotions whenever he sees someone he likes. There were lots of girls and he has been silently checking them out. Hokage mode activated. Sleep deprived Ram was on his usual joker persona. Even though he was sleep deprived because he played dota all night, he still had the strength to throw punch lines whenever he had a chance. Mr. Bean on the loose. Gerald seemed to enjoy every step of the way. He has already been hiking before and had already climbed several mountains. I guess every fiber of his body really missed this kind of activity. He even positioned himself as a sweeper at one point. Dragon awakened. Jayven carried on even though he gasped from time to time. He also experienced knee locking. We just advised him to stop for a while, stretch it and just continue whenever he can. His burning desire to trek this mountain was still visible though. We’re happy he came with us on this trip. Better late than never. We haven’t even reached the pinnacle when my newly bought jogging pants got ripped apart. It was embarrassing. I will just buy a durable trekking pants next time to prevent it from happening again. We reached the top after a while. The view was worth it. It was really magnificent. We could see Wawa River and several mountain ridge. It would have been better if there were less people. My friends and I have to patiently wait for other groups to finish their selfies. We’re alert when they are about to go so we could easily takeover their place. Buwis buhay selfies here and there. On the big boulders, on the cliff. One by one we took our best shots and best angles. I even took videos for compilation. We decided to go back down when we were satisfied. It took us about two hours to ascend and two hours to descend. Honestly I was a bit unsatisfied on this trek. First, there were lots of people and I hate the crowd. Noise pollution was high and the unnecessary traffic on the trail was disappointing. We couldn’t even stay for long on the peak because the time to stay there was limited. Other groups would also like to relax and snap pictures so we have to give way. Second, I think this was an easy trail. Moreover, this was really unlike the first two trails I had in Mt. Balagbag and Mt. Makiling where I could take my time to walk peacefully and talk in depth with the people I was with. So next time, as much as possible, I’ll choose more challenging and less popular hiking destination. It is an advantage for the tourist guides to have their team climb multiple mountains in a day as it will make their earnings bigger. 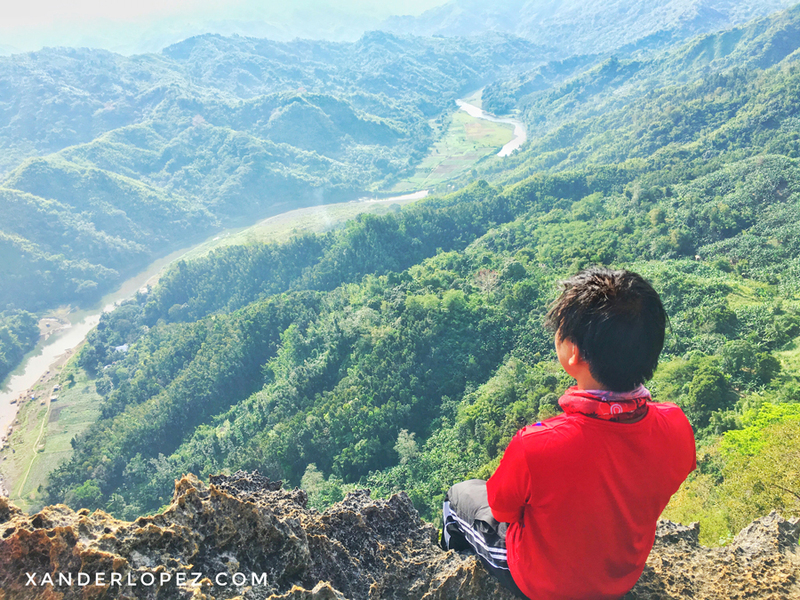 Imagine Php 500 per mountain. But that’s not our case. The second mountain where we should go, Mt. Pamitinan, has been experiencing unwantes foot traffic as told by the locals. So we didn’t proceed. Despite this, there was already an alternative activity which was to visit Wawa Dam. Binacayan cave is inaccessible. I was told that somebody built attractions near it without government permit. So it was already shut down on the very first day of its opening. It has been like that for a year. On the dam, there were floating cottages made with bamboos. 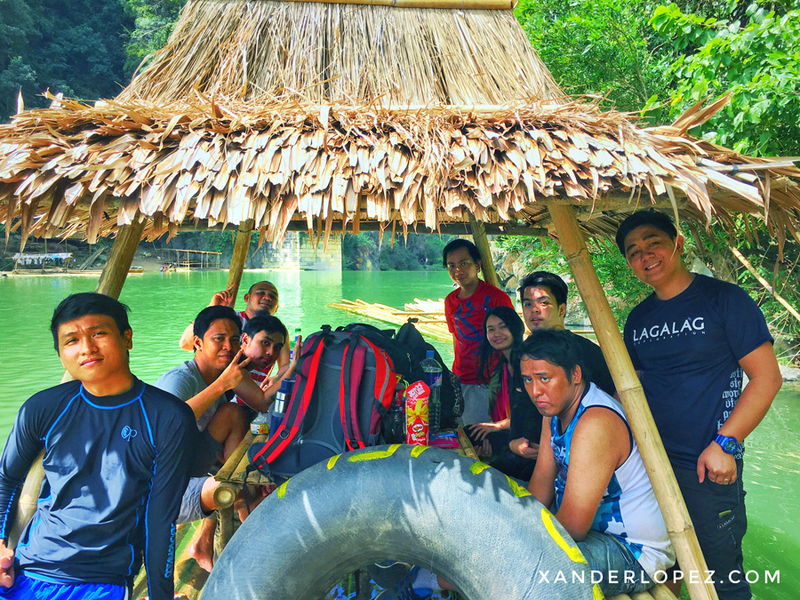 We rented one for P500. The soaked flooring made our shoes wet. Our bags ended up on the table where foods should have been. They should have stack up more bamboos for the flooring until it is high enough not to be reached by the water. The water was cold and green. And you are cold and blue. The water was deep. Just like how deep I was thinking about you and me. The water was calm. Just like how you make me calm whenever you’re beside me. But when it flows on the edge, on the falls, it was raging. Just like my raging heart when I fell for you. Why do I have to think about you, about us, even though I was in a better place far away from you? #hugot #huU? One stared blankly into space. Some relaxed. Some napped. Others swam. Others ate. Others danced. Everyone was happy. Everyone felt tired. Everyone got satisfied. Everyone did whatever they want. 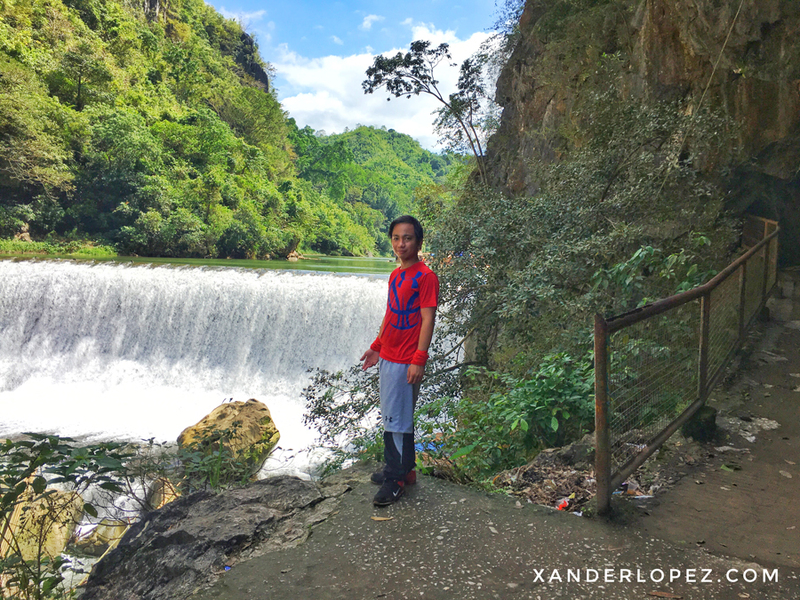 This entry was posted in People & Events, Space Travel and tagged adventure, bonding, climb, climbing, dam, friend, hike, mountain, rizal, travel, water, world. Bookmark the permalink.